When you got into the window repair business, you didn’t do it to wrestle with paperwork and labor over intricate schedules. You did it to repair windows. With Smart Service window repair software, you can get back to basics. 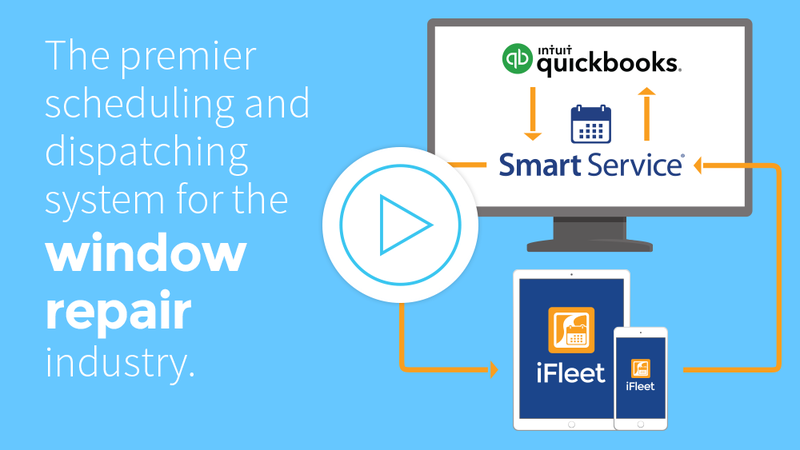 Smart Service handles the scheduling, dispatching, customer management, billing, and work orders, all while integrating with QuickBooks. This means you’ll suddenly find more time to do what you do best: more jobs! What makes Smart Service great? This window repair software offers the most complete QuickBooks integration on the planet. Schedule a job in Smart Service and your work gets duplicated in QuickBooks automatically, keeping everything in the same system. Smart Service works as a direct add-on to QuickBooks, giving you the power to orchestrate every aspect of your company from a single hub. Learn more. Smart Service window repair software makes communication between the office and field extremely easy. When dispatchers schedule a job in the office, a single mouse click will send the job details to your workers’ mobile devices in the field courtesy of the Smart Service mobile app. When technicians complete the work, they’ll send the completed digital paperwork right back to the office. Everyone wins! Learn more. When your workers pull up a job on their mobile window repair app, they’ll gain access to all the customer information, equipment information, job notes, and service history associated with the corresponding customer. This gives them all the data they need to work autonomously and excel in their efforts. As they make their repairs, they’ll populate work orders and send completed forms back to the office headquarters. Give yourself a seamless software system! Learn more. If you love QuickBooks and have problems with scheduling... problem solved! Best. Program. Ever. Make your window repair dreams come true.